Fall into these traps and watch your vision die. Have you delayed living your vision because you are waiting for your finances, the economy or the job market to get better? Are you waiting for some expert or guru to write a book or facilitate a seminar that gives you a five step formula to make your vision a reality? You and I were born with an innate desire to fulfill our vision. But, many people fail to live out their vision because they sit on sidelines refusing to participate. The encounter difficulties that is hard to break through. They listen to others negative commentary. They give into a negative inner voice that tells them things will never work out. One of my dreams a few years ago was to start a website encouraging individuals to realize and live out their God-designed vision. I dreamed about starting my website often. I read books and blogs on how to start a blog website. I studied others websites to see what they were doing. I accumulated tons of information on how to start a website, but I failed to start. I found myself sitting on the sidelines instead of participating in the game. I always had an excuse to why I could not start a blog website. I was too busy. I was not technical savvy. I couldn’t find anyone to help. It cost too much. If there was an excuse I made it. I made so many excuses that I made myself sick. You will never hit a basket, score a touchdown or hit a home run if you never get in the game. You can talk about what you know and how talented you are, but if you don’t participate in the game, you will never know what you can do. No great athlete ever became great by sitting on the sidelines. There are no great players in the Hall of Fame who sat on the bench for their entire career. There are no trophies or awards named for the best bench player. There are no highlight films focused on the players standing on the sidelines. If you want to achieve your dreams, you must get in the game. Every day that you get is a brand new day, unlike any other day. It is a brand new opportunity to play your best game. So what if you miss the shot, fumble the ball or strike out? Do you quit after a failure or do you get back up and try again? I am learning through my many failures, that failure is part of the process. But, if you never get in the game to live out your vision, you forfeit your opportunity for success. Do not allow the frustrations and discouragements of life hold you hostage from living your best life. It is your responsibility to dust yourself off, clean up the wound, put a band aid on it and get back in the game. You have been through too much to get where you are to walk away from living your vision. There are too people who are counting on you to finish strong. And you cannot finish strong sitting on sideline of your vision. Your vision wants to live through you. But you must avoid the traps that will keep you standing on sidelines or sitting on the bench. It is time to break free from the vision traps and live your life at maximum capacity. 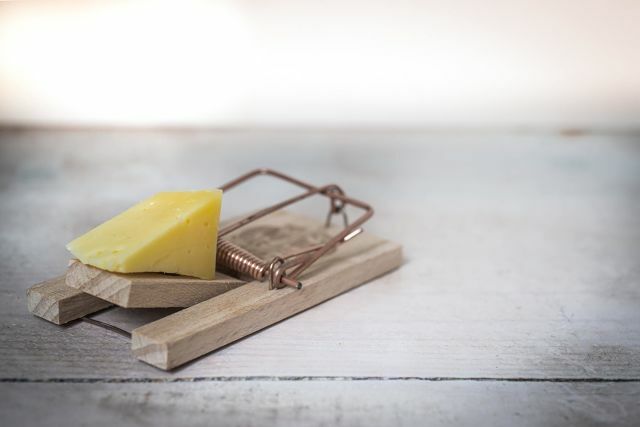 If you want to break free of the traps that will kill your vision, you must know what they are. After talking to many people and looking over my life, I realized fifty-two traps that will kill your vision. 3. Making excuses to why it can’t be done. 4. Blaming others for your mistakes and errors. 6. Willing to quit at the first sign of obstacles or opposition. 8. Neglecting to take advantage on new opportunities. 9. Failure to define exactly what you want. 10. Wishing instead of working towards your vision. 11. Searching for short cuts to success. 12. Failure to put plans in action. 13. Worrying about what others might say or think. 14. Compromising your values for temporary pleasures. 15. Refusing to disconnect from negative and discouraging people. 16. Waiting for the perfect situation. 17. Allowing negative inner conversation to hold you hostage. 18. Walking by sight and not by faith. 19. Doubting your God-given skills and abilities. 20. Refusing to learn new strategies and techniques. 21. Attempting to do everything on your own. 22. Multi-tasking instead of focusing. 24. Believing your own hype. 25. Playing instead of preparing. 28. Living with a comfortable pain. 29. Watching too much television. 30. The fear of failure. 33. Over extended on credit. 34. Holding onto a past, you cannot change. 36. Waiting for someone to give you permission to live your dreams. 40. Trying to please people. 42. Trying to get different results with the same actions. 43. Comparing yourself to someone else. 46. Stuck in a familiar routine. 49. All work no play. 51. Talking too much and not listening. 52. Wasting time playing on social media. This is not an exhaustive list, but I have seen these fifty-two vision traps hinder my vision and the vision of others. Do not let these traps hinder your vision progress. Overcome them and live your vision at maximum capacity. Your world is waiting. Question: Can you name another vision trap? What vision trap has kept you from living out your vision? I am the CEO of Lead to Impact, a personal / leadership development, vision implementation and team empowerment company. I am the author of Vision Impact!, Lead UP!, Man Up! Rise to the Challenge and It’s In You to Win. My purpose is to help bring out the color within people lives by encouraging, equipping and empowering them to realize and live out their God-designed vision. How to live out your vision with no regrets?